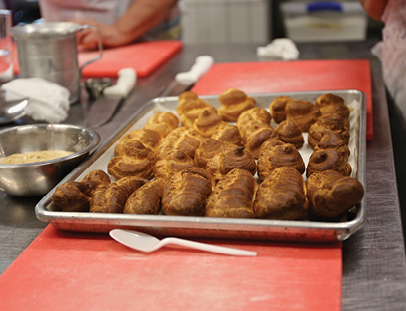 “Pate Choux dough is used to make eclairs, cream puffs and chorros,” explains Watson, a professional pastry chef who trained at Johnson and Wales Culinary School in South Florida. Watson keeps a running dialogue while we struggle to produce this finicky concoction. Nearly everyone in the class is a beginner, but they all seem enthusiastic about learning these baking techniques. For those three hours, we patted, mixed, piped and iced our eclairs, profiteroles and croissants until we could fill a to-go box with pastries to take home. 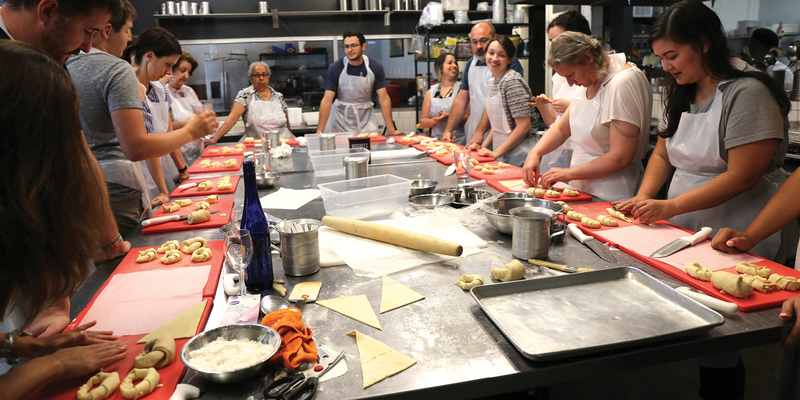 This is what a class at Cookology is all about. Taking a few hours out of your week to learn the fine art of cooking and baking under the helpful watch of a skilled Cookology instructor. Cookology is unique, thanks to its location inside Dulles Town Center. It was owner Maria Kopsidas’ idea to open an accessible, affordable cooking school where she could share her love of food. 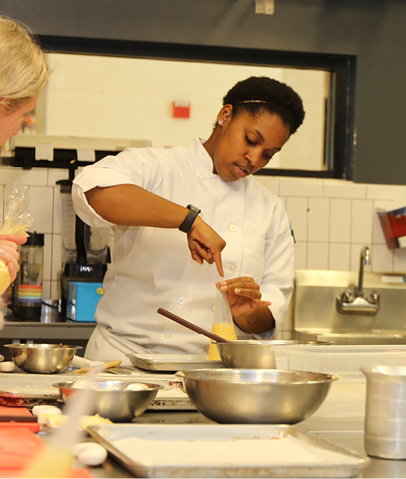 Her school would not be a place where you watch and taste—no, this is hands-on, active instruction with professional chefs in safe, commercial kitchens. Cookology even has a full-time dishwasher on hand to keep things moving. Cookology opened its doors in 2009. “It was right after the financial crash,” says Cookology’s manager of business development, Will Bushey. 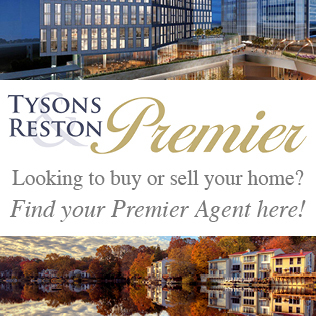 “But when Lerner gave her the chance, she jumped in.” Lerner is the developer of Dulles Town Center. The location, on the Macy’s side of the mall, is easy to access, and the school has won so many hearts and minds that Kopsidas is about to open a second location in Ballston. The new Cookology Culinary School will have five different spaces within 6,200 square feet to accommodate higher volume events. 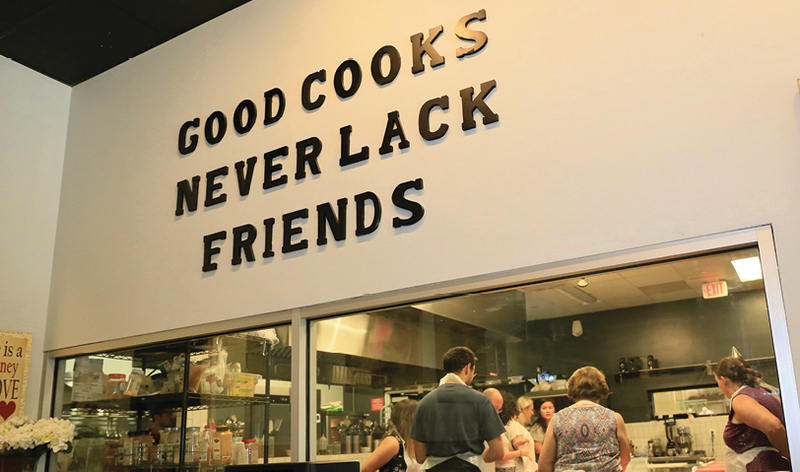 Cookology in Dulles Town Center is a fun place to go for a distinctive date-night experience. 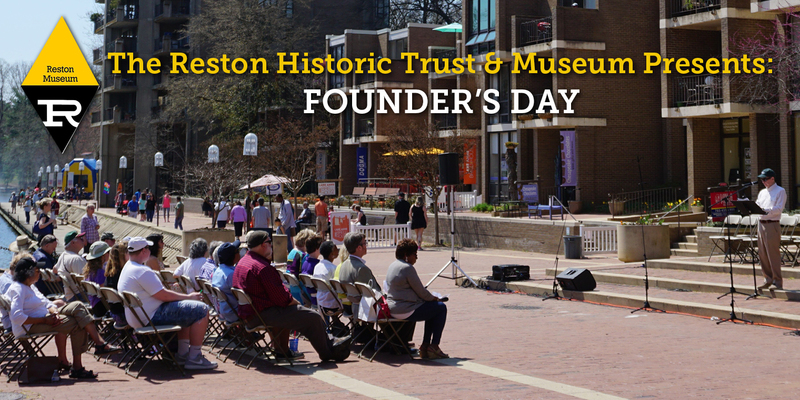 “It was Maria’s idea to connect people through cooking,” says Bushey. 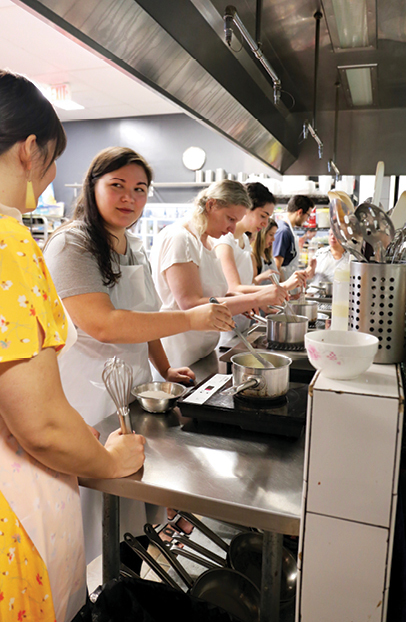 “She wants people to get out of their comfort zone and talk while they’re cooking together.” Along with hosting Saturday Night Socials, Cookology organizes team building activities. “So, groups come in together, and it’s like they’re in Top Chef or Chopped. The group is assigned a secret ingredient, and then they need to come up with their dishes using that ingredient,” Bushey explains. During many evening classes, while guests are chopping, they’re also sipping wine. You can buy your own bottle here to enjoy while you cook. “That often gets people to start a conversation,” says Bushey. They have a Culinary Boot Camp, with five weeks of instruction in executing techniques and recipes under the guidance of Chef Mark Chang. Classes that caught my interest were Japanese Detox, Dim Sum Workshop, and a Family Class where you learn to make crab cakes and hush puppies. Cookology also hosts kids programs and summer camps. 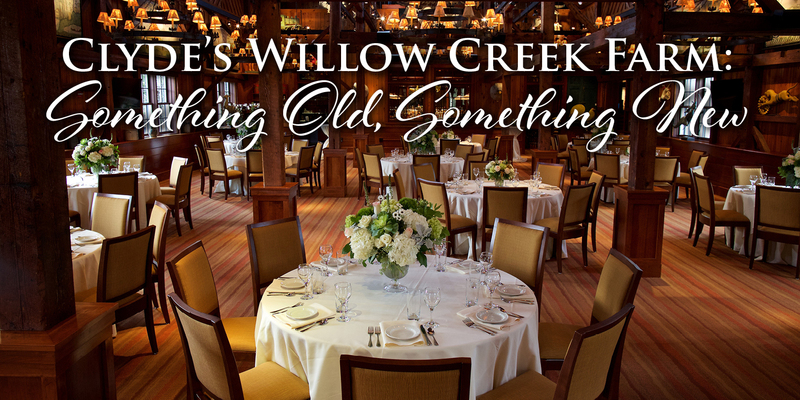 The set-up is ideal if you’re looking for a high-energy birthday party that involves learning and eating. They customize the classes based on the age and experience of the participants. They also have Mommy/Daddy & Me classes for toddlers. Our baking class took place on a Sunday afternoon, so most of us refrained from drinking wine. But that didn’t hinder us from chatting while we rolled our dough and inserted the espresso chocolate cream into our eclairs after they turned golden brown. “You want to crack eggs on a flat surface,” says Chef Watson who demonstrates the technique to the group. We all agree, we had never heard this recommendation before. “Cracking an egg on a bowl introduces bacteria into the egg. You want a nice, flat surface and a clean crack,” says Watson. “Then use your fingers to open the shell.” Easier said than done, but we all gave it a try. 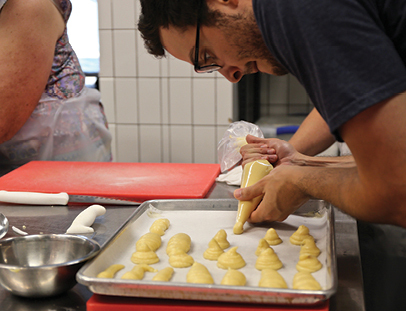 Our class consisted of couples, groups of friends, parents with their adult children, and even an aspiring pastry chef. It’s especially nice to come with a partner, since some of these recipes are labor intensive and work best with two sets of hands. If you don’t have a partner, you can pair with someone from the class or work on your own. 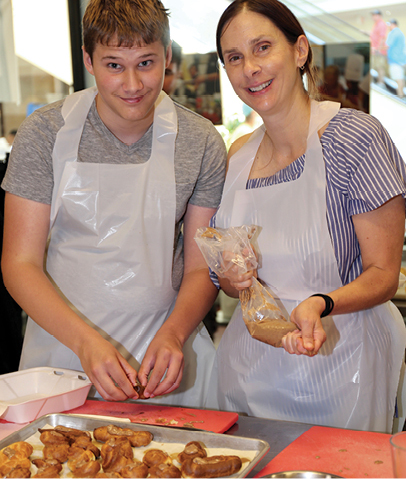 After removing our aprons, we put our bowls and whisks away, and sampled our eclairs, while the staff began to prepare for the next lucky group of students. To see the calendar of classes, visit classes.cookologyonline.com.